film,and put it directly to container. 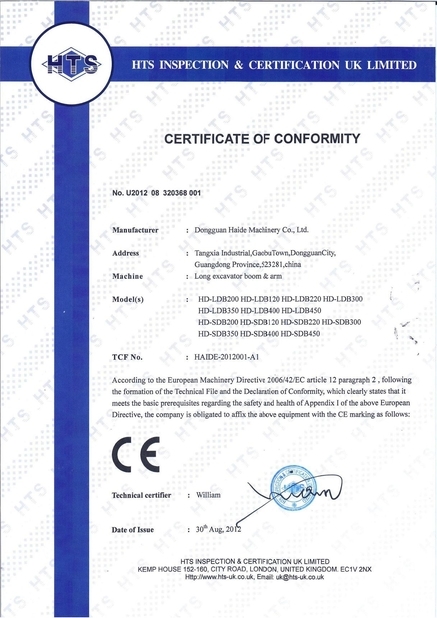 1, For truck and container loading and unloading goods. 2, Use on warhouse, sea port. 5, Open- type dock, Saw-type dock, Wall-through dock. 1, Modern warehouse always have dock. However, usually there is gap between dock and truck(container, or trailer) box floor in height direction. So loading equipment can not go in and out of truck(container or trailer) directly. 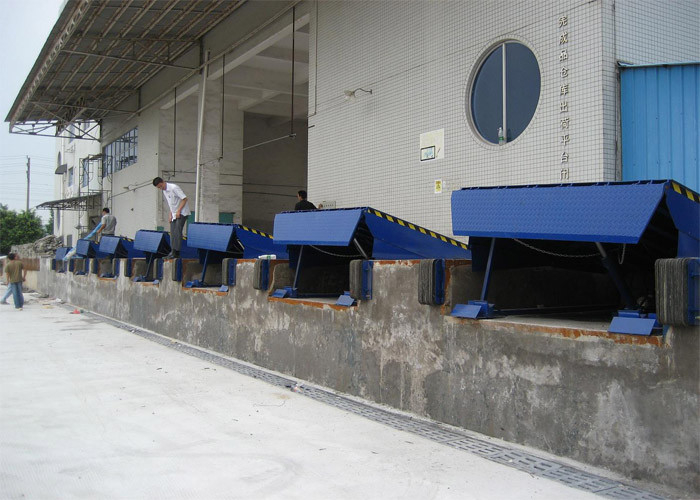 Haide dock leveler is just designed to overcome the above problem. 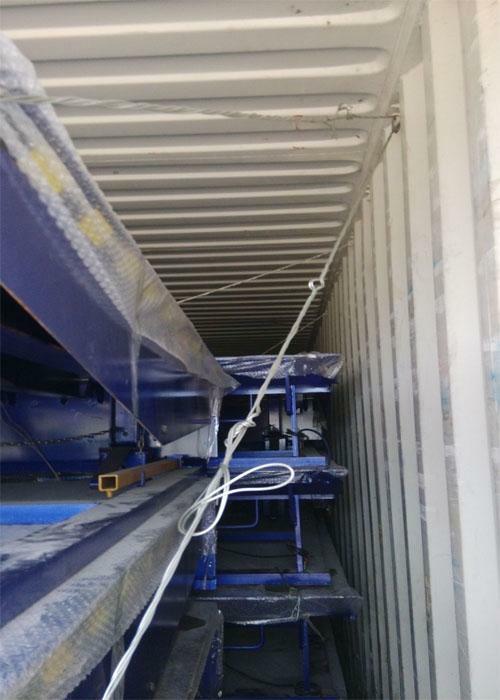 2, Haide dock leveler can connect dock with truck effectively enabling the loading equipment get in and out of truck and container smoothly. 3, This dock leveler is standard type,with single-cylinder design. 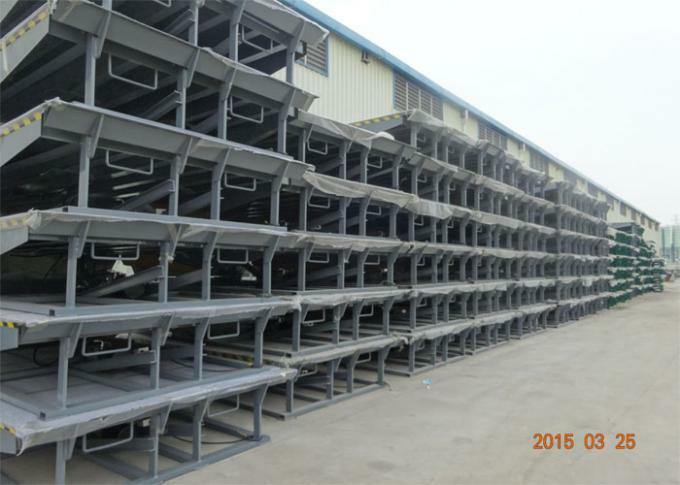 4, We also can customize all other dock leveler for customer. 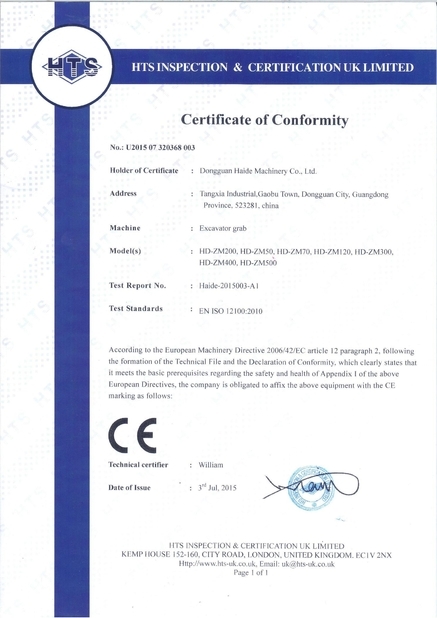 Such as Non-standard type double-cylinder type and Air-bag dock leveler. 5, The size for this dock leveler is 7*8, with 10 ton capacity. 6,Capacity:6, 10, 15, 20ton, is optional. Just let me know your request. 7, platform size is 2130*2440*490mm. Pit dimension should be 2170*2280*500mm(600mm). 8, Fitted with 28ton safey strut. Safety strut is convenient for mantenance and cleaning. 9, Ear-type hinge design and Frame-type bottom desgin. 11, Downward adjustment can be either automatic design or pull-chain design. 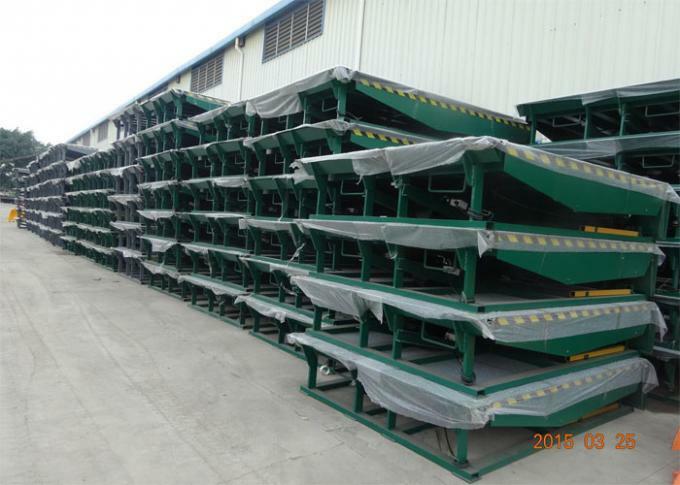 12, For shipment and easy move, there have forklift hole designed on our dock leveler. 13. All the dock leveler we supply will include two laminated bumper. Bumper thickness is 100mm. 14, The power pack was imported from Italy, brand is "Hydr-app", including motor, valve, pump. Oil seal is from Japan "NOK" brand. 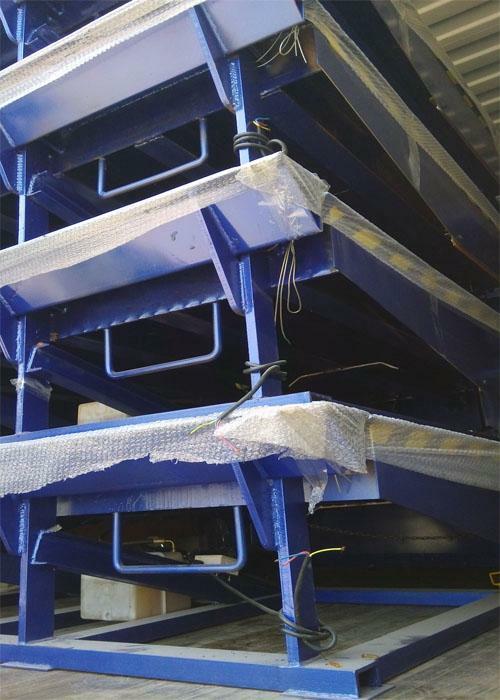 15, This dock leveler operated by control panel, we will prepare the control panel for you. 16, Warranty: 365 days after installation for hydraulic system, 5 years warranty for the steel structure. 17, This container dock leveler was exported to Ecuador, after loaded into container, we'll use the steel wire to fix the dock leveler with container.